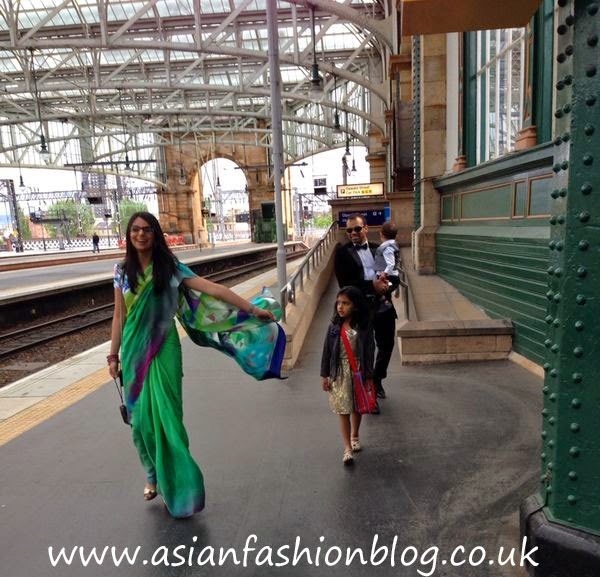 Asian Fashion Blog: My Style - Crop Tops as Sari Blouses! 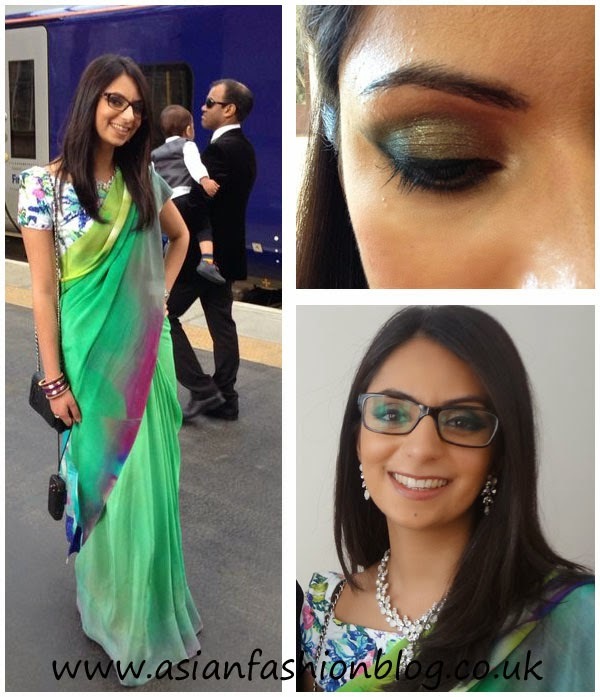 My Style - Crop Tops as Sari Blouses! I keep seeing crop tops everywhere - on celebrities, in the shops and in the magazines. Personally, it's not a trend that's made it into my everyday wardrobe, but recently I bought a crop top to wear with a sari! Here's how I worked the look and some tips for choosing which crop tops to pair with your own saris and lenghas. First, a bit of background, I was deciding on outfits for a wedding, the bride asked us all to wear green and the first green outfit that came to mind was my Satya Paul sari. Now I've worn this a lot (I bought it 3 years ago from Phulkari London), it's perfect for spring/summer weddings and I always feel good in it! The sari originally came with some plain lavender/purple blouse fabric which my mum stitched for me, on another occassion I have also had another plain hot pink blouse sewn to wear with it. I wanted a new blouse for this wedding, but I didn't have time to get another blouse sewn and I didn't want another plain block colour either, so I headed off to the high street in search of a suitable crop top! The sari itself has a real mix of colours and when I went out shopping, I envisioned finding myself a really vibrant, perhaps even sequinned, blouse so the colour white was the furthest from what I had in mind. However as soon as I saw this top in H&M, with a floral design that matched the shades in the sari (and the price - just £6.99!) I knew I'd found the perfect new blouse. Here's how it looked on the day - I had my make-up done by the lovely team from Bobbi Brown in John Lewis (Glasgow) and I accessorised with a colour and style variation of the "Garden of Eden" jewellery set from Kyles Collection. My bracelet set was from Bees. In case you're wondering - I'm stood on a train platform. We didn't take the train to the wedding but we did have to walk through Glasgow Central train station to get to the wedding venue. I figured we stuck out enough anyway so why not have some fun photos! Here's one of the fun pics we took during our journey through the station! I'd say this is the the most important thing. Loose blouses rarely look good with saris, so look for a crop top that fits you snuggly. My H&M crop top was a stretchy jersey fabric like the one below and it wasn't super-short. Look for different textures on your crop tops like lace, sequins, or an embroidery design. 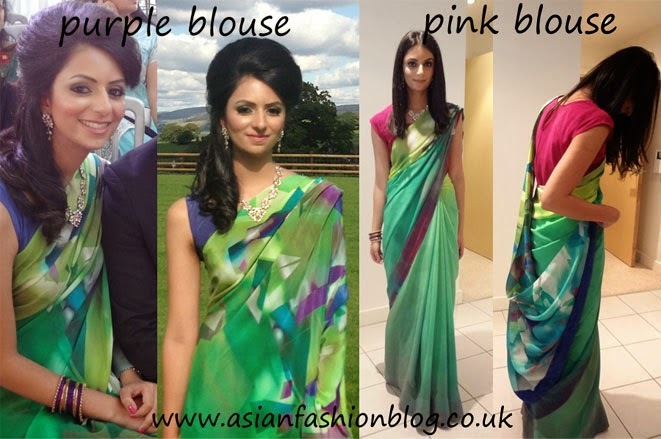 You could also look for a contrasting fabric to the sari itself, like velvet or leather! 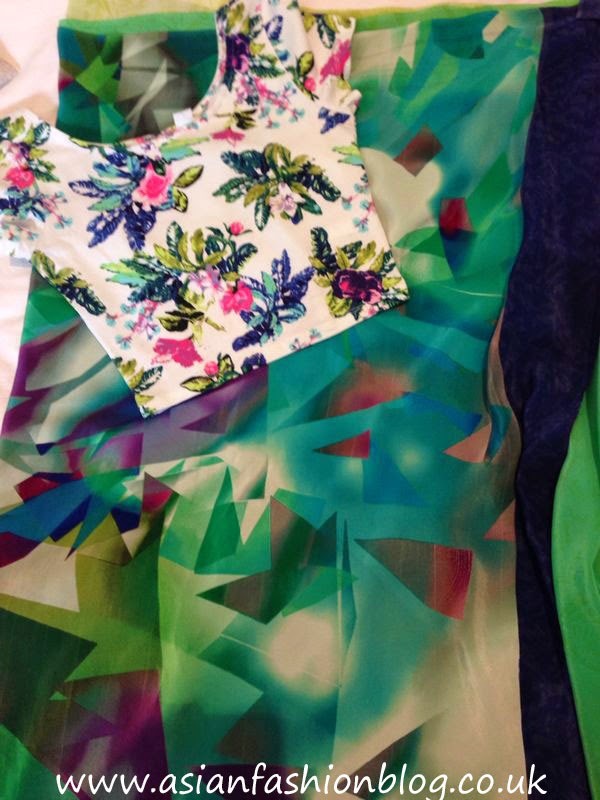 Floral prints are everywhere at the moment and would be great for summer weddings. If you're feeling fiesty why not go for an animal print, or an abstract print. 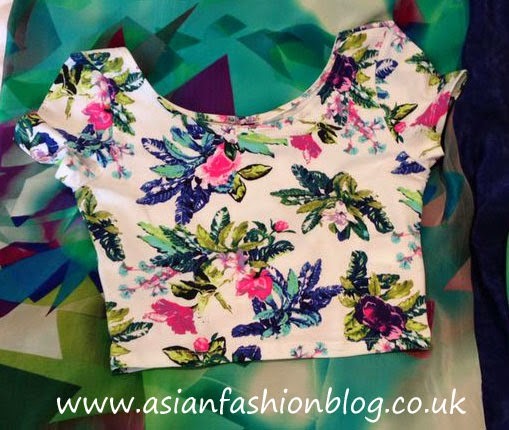 This is where I think crop tops from the high street really add some variety compared to your more traditional sari blouses - there are so many different necklines and back designs to choose from. I do this too! Its so much easier than getting a blouse made, and cheaper too! I love this idea, although I don't wear saris much and when I do they tend to be full-sleeves or at least three-quarter length, but worth keeping this idea in mind when I get my next sari! Your sari is beautiful, love how you've draped it in different ways to show a different pattern from the sari, looks beautiful!